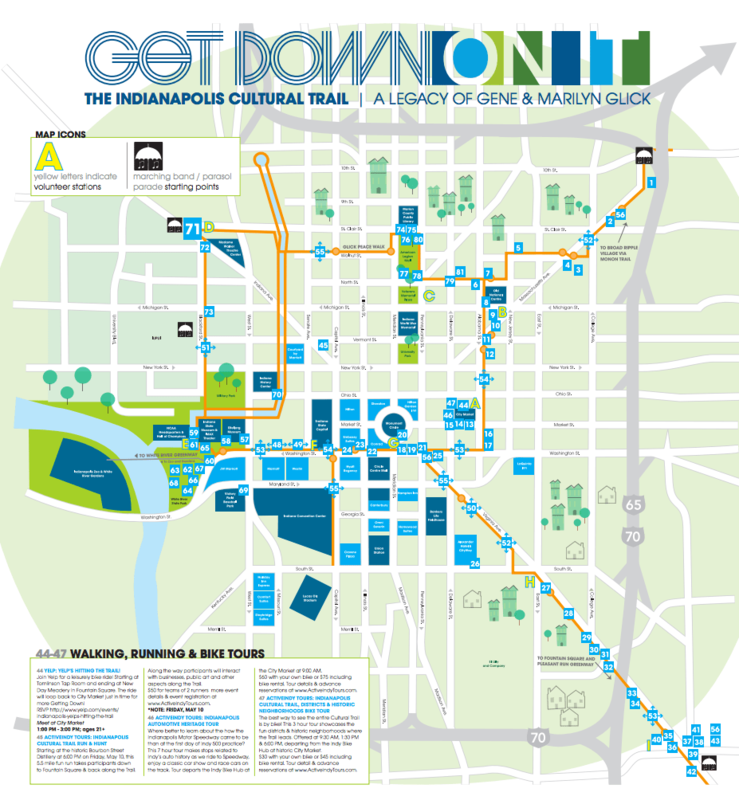 Speaking of Indianapolis infrastructure – here is some news on a public works project that actually creates a positive impact on a large chunk of the city – The Indianapolis Cultural Trail “officially” opens on Saturday, May 11, with a round of celebrations called “Get Down On It.” (cute!) The celebration includes a pretty massive list of events at various locations around the trail, so click through to see your options for various live music events, outdoor theater, food venues and public arts projects, or download a handy map. Should be a fun celebration. For those of us who have been enjoying it the past few years, the “official” opening is good news, the trail has been completed and you can now walk and bike all around downtown, enjoying public art and visiting retail and cultural attractions without dealing with parking and without the fear of getting creamed by cars. For folks who haven’t explored downtown, the cultural trail is a great way to see a lot of the major sites in Indianapolis. Again, without getting creamed by cars. It needs to be emphasized how awesome that is.